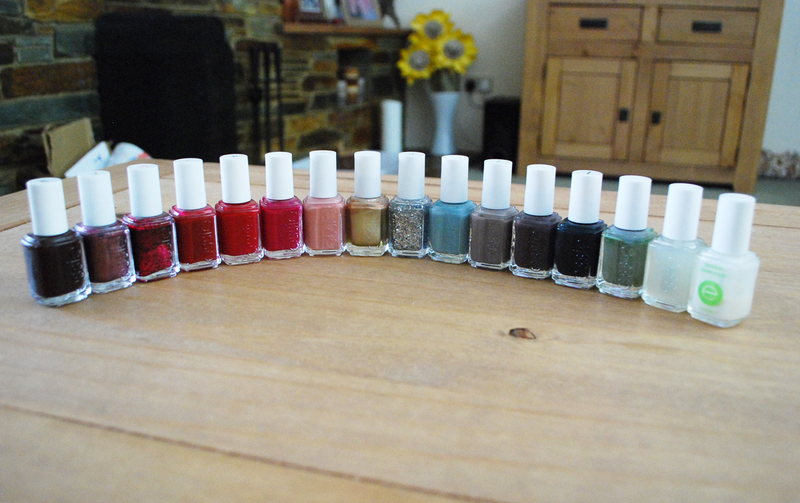 From left to right - skirting the issue, it's genius, leading lady, a list, size matters, raspberry, eternal optimist, penny talk, set in stones, parka perfect, chinchilly, smokin' hot, stylenomics, sew psyched, help me grow base coat, protein base coat. 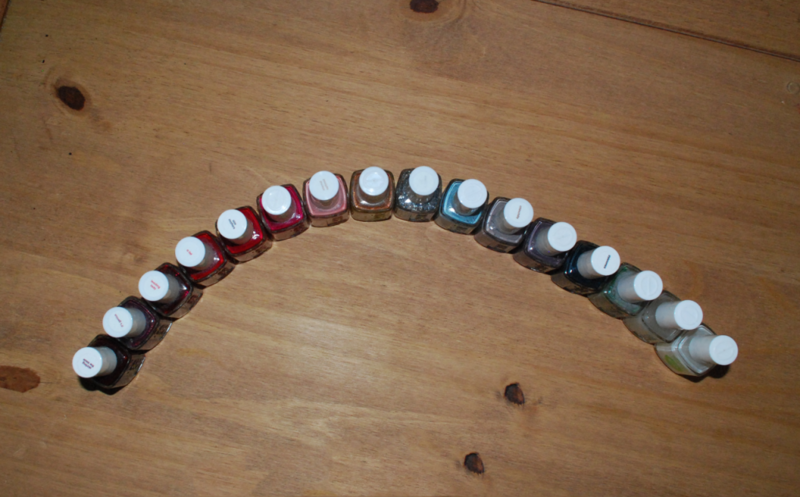 I've mentioned Essie on my blog quite a few times as it's a great brand with the perfect consistency and pay off with a huge range of amazing colours. I really love all of the nail polishes that I currently have, my favourites being Chinchilly, Smokin' Hot and Sew Psyched. Another favourite is Leading Lady, the perfect red polish with red glitter for the festive season.